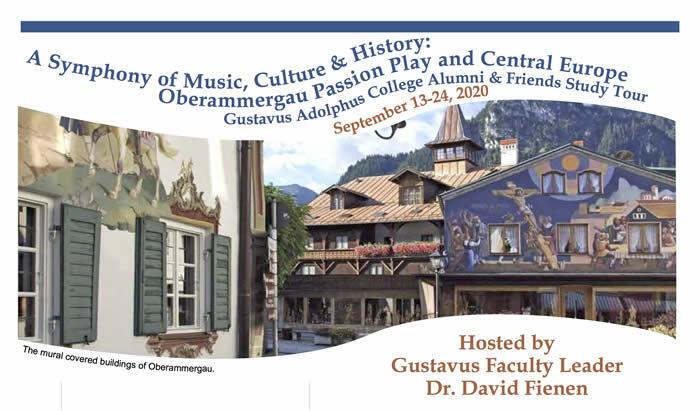 David Fienen is Emeritus Professor of Music at Gustavus Adolphus College in St. Peter, MN, having retired in 2011 after 38 years as Cantor at Christ Chapel and Professor of Music. His final assignment (2009-2011) was as Provost and Dean of the College, having previously been Dean of Faculty/Vice President for Academic Affairs (2000-2001), and Associate Dean of the College (1993-1996). He also served the College as Director of General Education (2002- 2007), Chair of the Faculty Senate as well as chair or member of several other standing committees of the faculty. More recently he served as Interim Cantor and Conductor of the Handbell Choir at First Lutheran Church in St. Peter, MN for the 2014-2015 season. At Gustavus, he was Chair of the Music Department (1983-1986 and 2005-2009) and the Edgar F. and Ethel Johnson Professor of Fine Arts (2003-2009). He holds degrees from Indiana University (B.Mus. 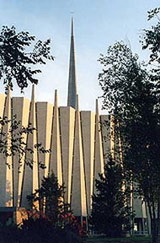 ), Concordia Seminary in St. Louis (M.A.Rel. ), and the University of Minnesota (D.M.A. ), and continues his active performance career in the United States and Europe. In addition to a solo recital tour through North Germany and Berlin, he has toured Central Europe with both the Gustavus Brass Ensembles (1989) and the Gustavus Wind Orchestra (1994, 2006, 2010, and 2014). In June 1990, he was an artist/fellow with the Bach Aria Festival and Institute at Stony Brook, N.Y. In July 2004, he played an Orgelvesper at St. Jacobi in Lübeck, Germany, and an organ recital at the Schlosskirche in Lutherstadt Wittenberg, Germany.In September, 2017, he returned to the Schlosskirche in Wittenberg to play two noon organ recitals. Fienen was the keyboardist and occasional soloist with the Mankato Symphony Orchestra (1988-2017), is currently Collaborative Pianist/Organist for Mankato-based chamber choirs Musicorum (Assistant Conductor, fall 1999), and Minnesota Valley Chorale. He also collaborates with the BRASS ART QUARTET, the John and Gail Carpenter tenor/soprano duo, serves as a frequent substitute organist for area churches, and is the Volunteer Archivist for First Lutheran Church in St. Peter. He was elected to the Church Council (2014-16) and President of the Congregation (2014-15) at First Lutheran. From spring semester 2014 through spring 2015, Dr. Fienen was also Adjunct Professor of Organ, teaching one graduate student (in St. Peter) for Concordia University Wisconsin, Mequon, WI. He was secretary/treasurer of the Association of Lutheran Church Musicians (2001-2005), having previously served as founding president of Region III (1986-1988), and as treasurer for ALCM 1993, 1995, and 2017 biennial conferences. He was on the Executive Board of the Twin Cities chapter of the American Guild of Organists (1983-1986 and again 2016-2019), and from 1995 to 1997 was on the board of directors and chair of the finance committee of The Collaboration for the Advancement of College Teaching and Learning. Dr. Fienen has recorded Hymns and Fanfares (with Gustavus Brass Ensembles) and Let Us Adore Him; Favorite Swedish Hymns; and Favorite Norwegian Hymns (with the Gustavus Choir), which are available from the Book Mark at Gustavus Adolphus College. He also appears as organ or harpsichord soloist and accompanist on three CDs produced by Musicorum. His ongoing research is focused on the life and works of Jan Bender. 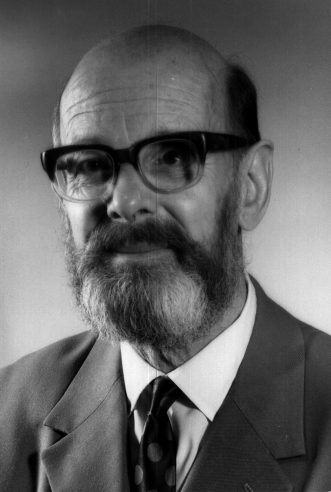 "Jan Bender; Church Musician of the 20th Century," published in Perspectives on Organ Playing and Musical Interpretation; A Festschrift for Heinrich Fleischer at 90 (available from the Organ Historical Society). Expanded version, including Catalog of Compositions, Indexes, Recordings, and Chronology posted online at Bender. 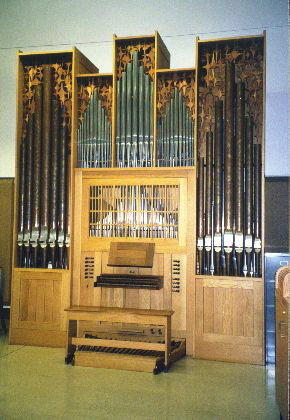 The Master Organ Works of Jan Bender; A Commemorative Edition, 5 volumes, edited by David Fienen. St. Louis, Concordia Publishing House, 2005. "Charles Hendrickson: Profile of a Minnesota Organbuilder," published in THE DIAPASON, June, 2017, pp. 20-22. March 19, 2016, 1 pm - organist, Before Bach's Birthday Bash. St. Clement Episcopal Church, 901 Portland Avenue, St. Paul, MN.